Miserable wet and windy day on Sunday so it needed some winter food. 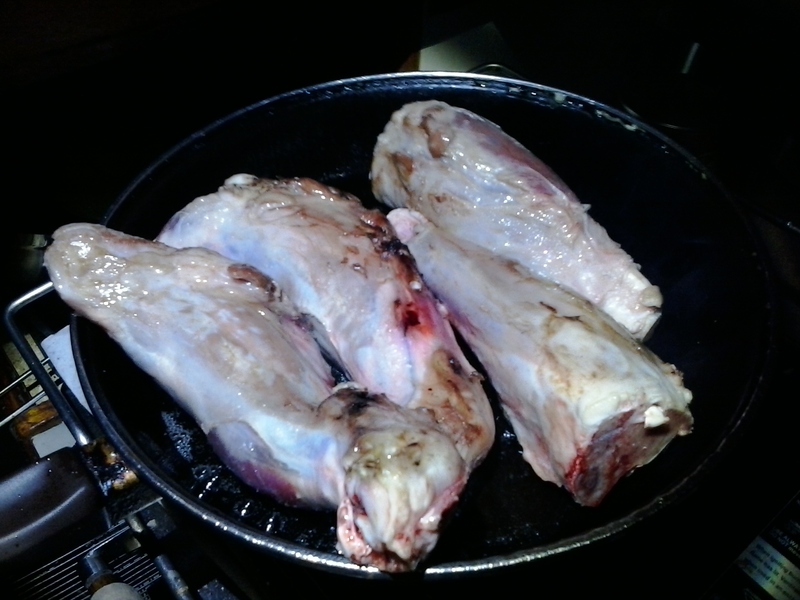 I bought some Lamb Shanks so decided to braise them in the pressure cooker. YUM an hour and a bit and they were fall apart perfect. 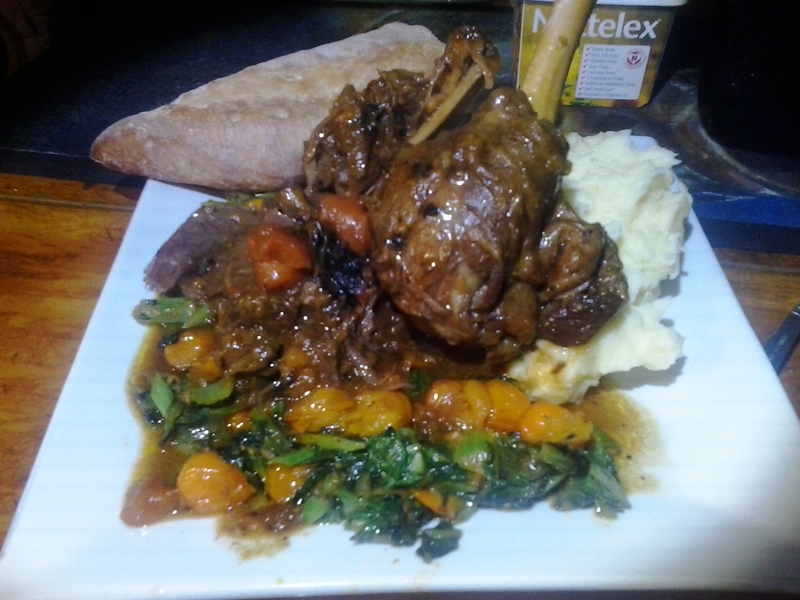 I would normally give it a good slug of red wine but had used it all so I used some white wine bolstered by some good balsamic vinegar to enrich the sauce, it worked a treat and gave it another dimension. Matched with some good mash and a seared tomato and bukchoy number and it was wintery wonderment. Sometimes you just stumble across something that is just the absolute best way to achieve a particular result and when it comes to cooking meat for me, that has been Sous Vide, French for under vacuum. The vacuum packed meat is cooked at a low temperature for a longer period in a waterbath. The water temp is maintained at a certain temp for desired cookedness ( I made that up). 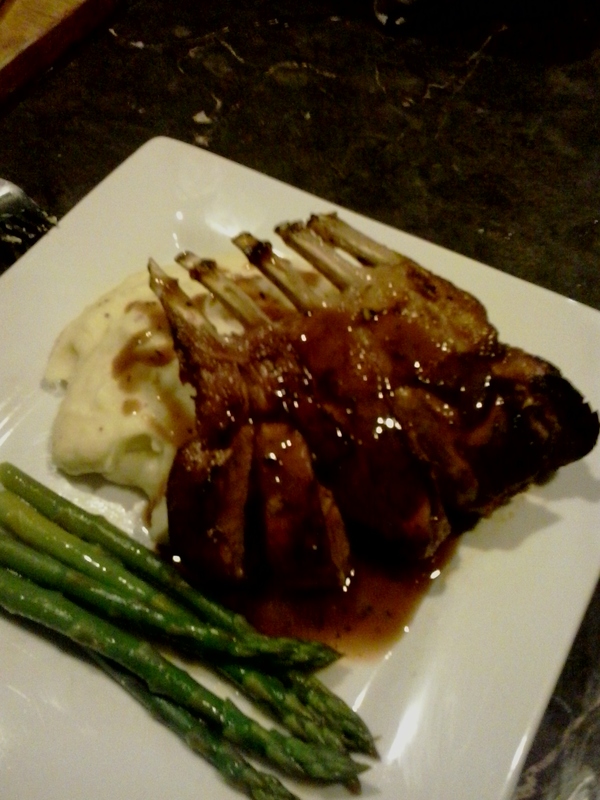 This lamb rack was med rare after 45 minutes at 58deg c then a quick hot sear in a pan to caramalise the outside. 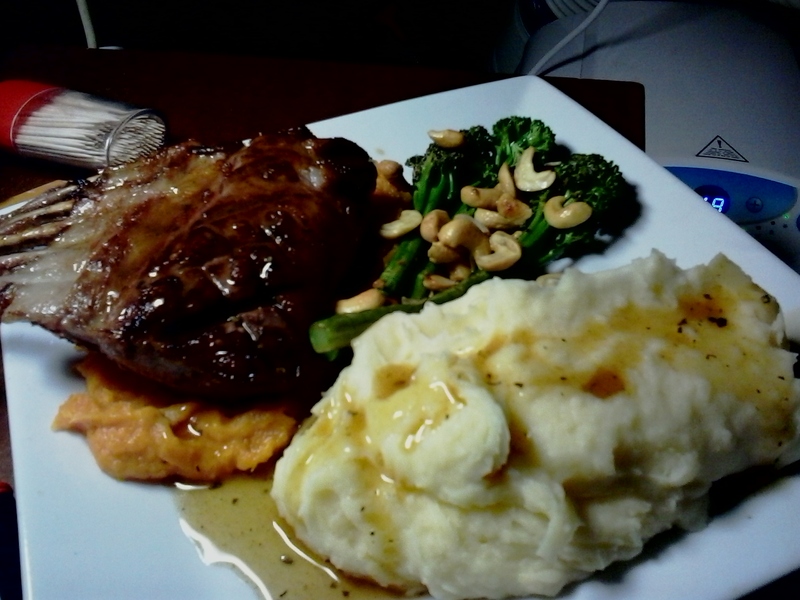 I served it on a Moroccan spiced sweet potato mash with mashed potato, garlic buttered broccoli and cashew nut and a pepper and mint gravy. 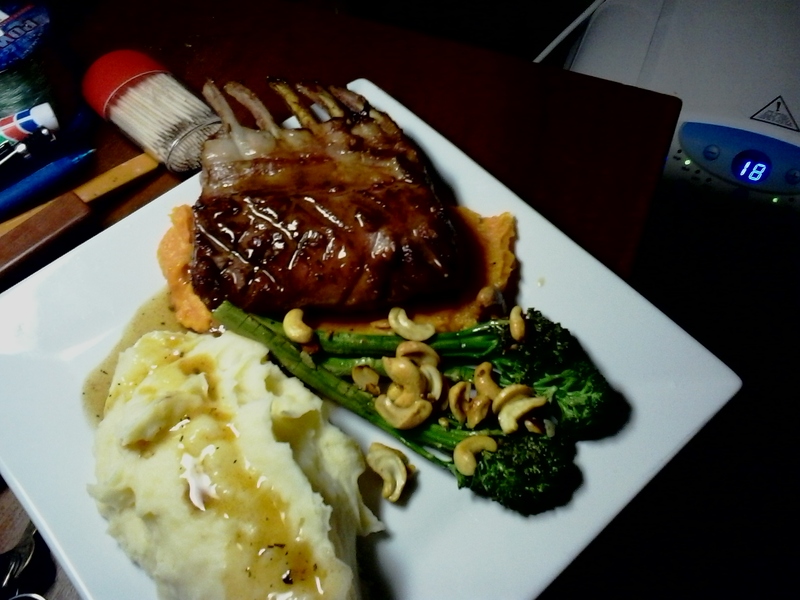 Winters is here (barely got to 25c today) and with the cold weather comes comfort food. 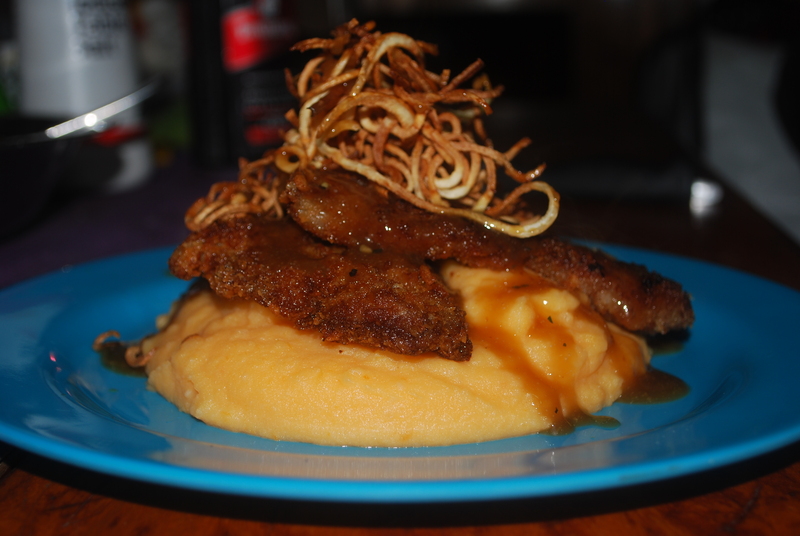 This is Panko Crumbed Lamb Rump Steaks with Sweet Potato Mash, Parsnip Curls and Mint Gravy…yeah thats comfy. 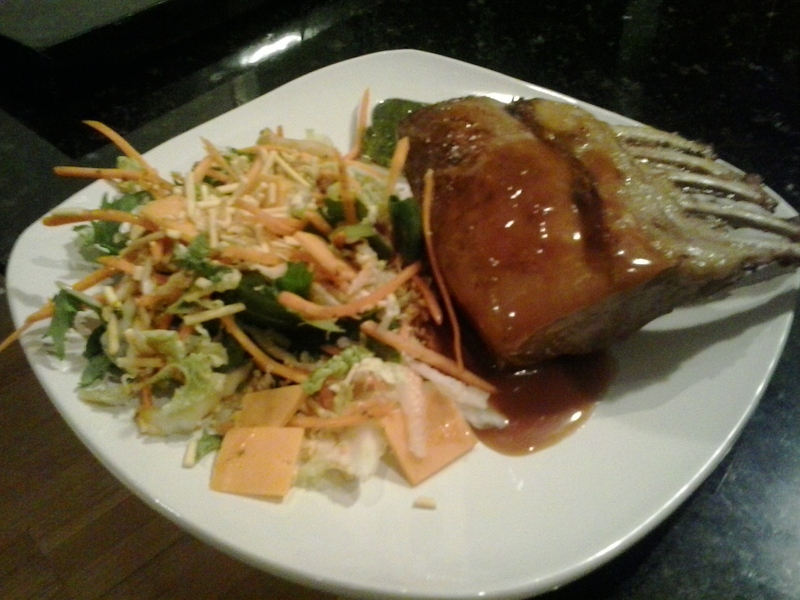 Paula and I had our 19th anniversary together on the 3rd of December and this was our anniversary night dinner…yum. 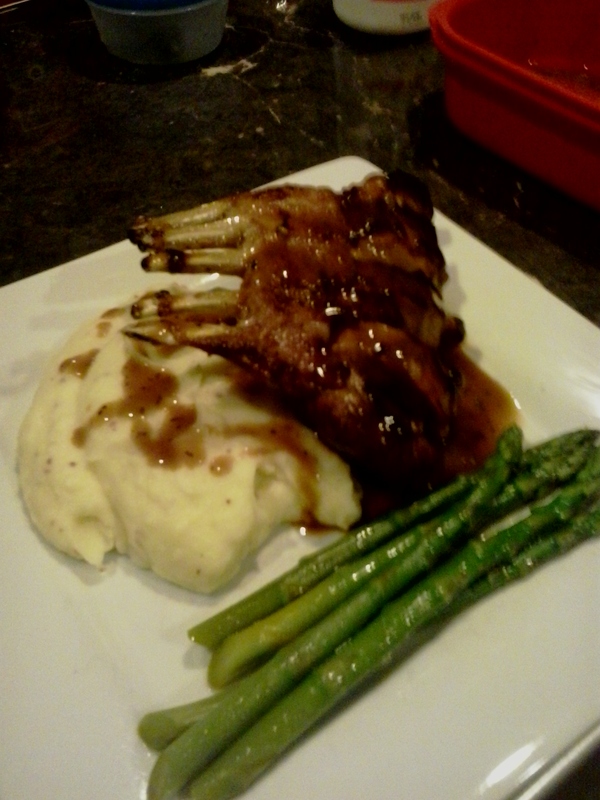 Lamb Rack w/minted baby potatoes,carrot shards and snowpeas in oyster sauce. Doe’s having a small salad with this dish make up for the fact that there are three pieces of fried Haloumi on it? Who cares! It was excellent. 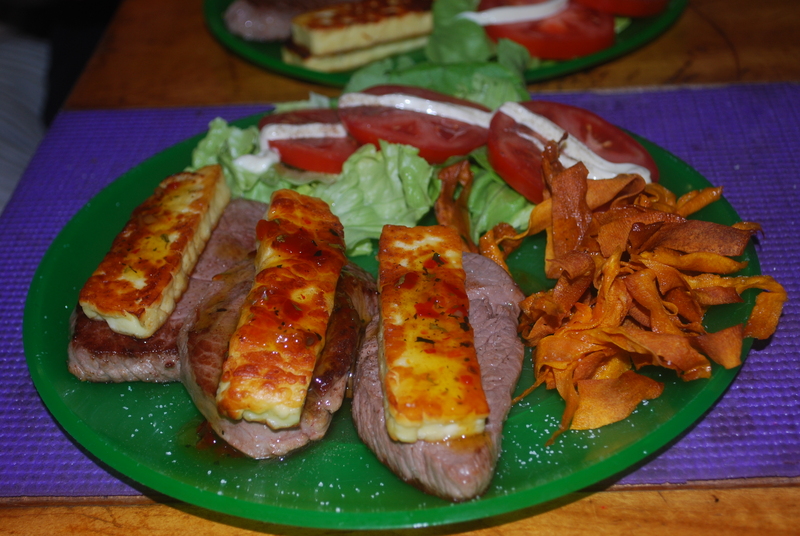 Its Lamb Steaks topped with pan-fried haloumi and chilli mint sauce w/ salad and sweet potato chips. Its an extra big serve because Paula was feeling a bit seedy after a big rum and didn’t want all of hers, the sacrifices we make! 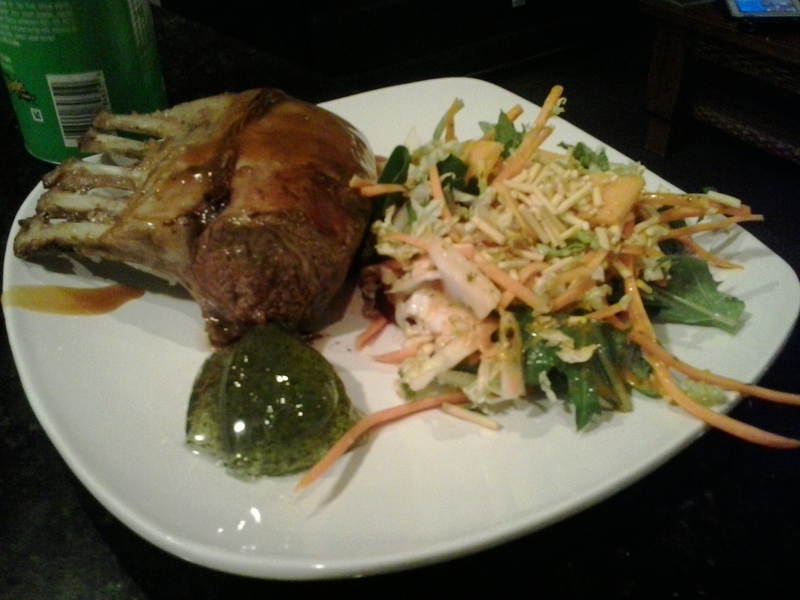 The lamb was very good, fresh and only cooked for bout 2 mins each side then rested. 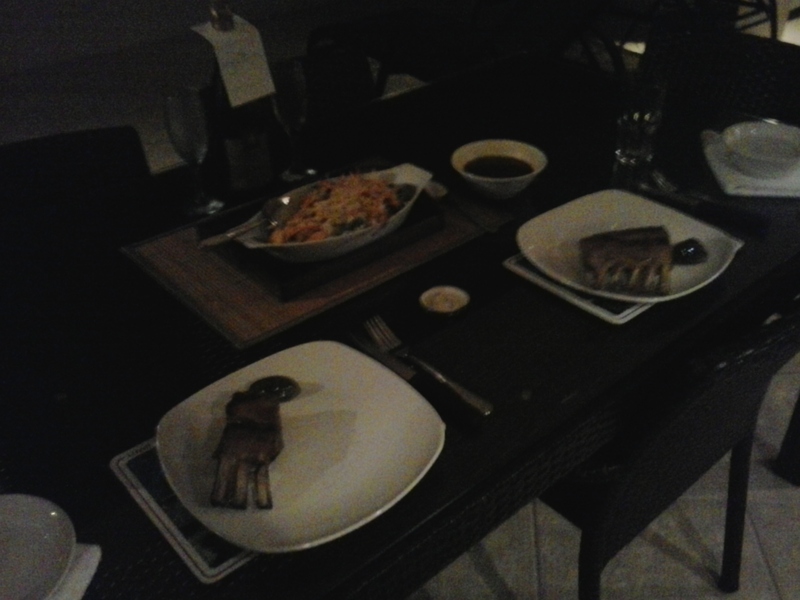 The result was perfectly blushing steaks that were as tender as it gets. Gotta say I’m loving the lamb price war.